Royal baby Prince George may still be getting to know his famous parents, but it’s thought plans for his christening are already under way. According to reports, Kate Middleton and Prince William are considering a low-key affair, to be held when the Queen returns from Balmoral this autumn. It’s thought royal couple, who travelled with their royal baby to Kate Middleton’s parents’ home in Bucklebury yesterday afternoon, could opt for a private affair, in contrast to their very public royal wedding. Reports suggest the couple will wait until the Queen has returned from her annual summer holiday at Balmoral – which begins this weekend – and will just have close friends, family and godparents in attendance. Tradition dictates that adorable Prince George will be christened in a replica of the intricate lace gown used by the royal family for decades – and first worn by Queen Victoria’s eldest daughter. The last royal baby to wear the gown was Lady Louise Windsor, daughter of the Earl and Countess of Wessex. 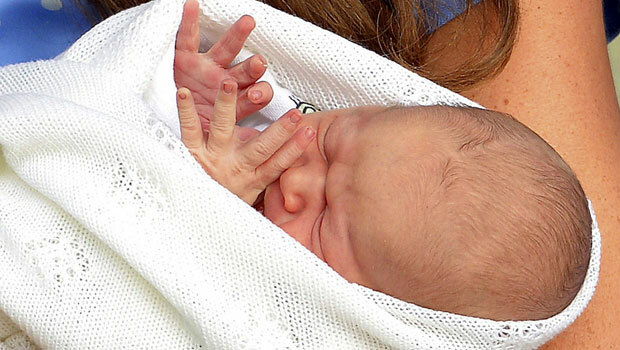 The latest royal baby news comes just hours after his name was finally revealed – as George Alexander Louis of Cambridge. If he becomes King, the little Prince will join six other royal Georges who have all worn the British crown, including the Queen’s father George VI , and German-born George I. Meanwhile, it’s thought the couple chose Louis after William’s great uncle, Lord Louis Mountbatten, who was killed by the IRA in 1979. Prince William, Kate Middleton and Prince George left London earlier this afternoon for her parents’ home in Bucklebury, Berkshire. 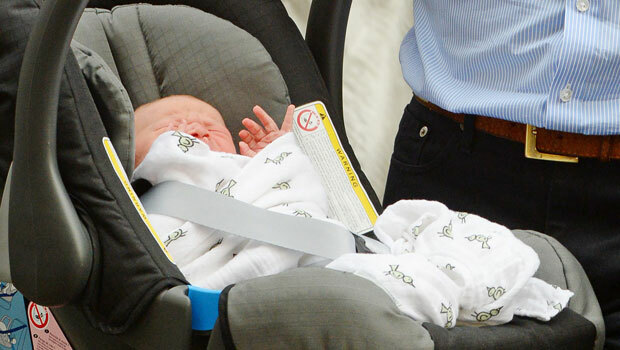 With a beaming smile, proud dad William sat in the passenger seat and waved to photographers and passers-by while the Duchess of Cambridge sat in the back with her new baby. It’s thought the family will enjoy up two weeks out of the limelight at the sprawling Middleton family pad, before Prince William returns to work in Anglesey.